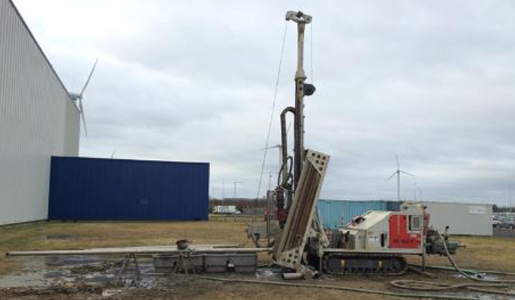 Geocore operates a fleet of cutting-edge Comacchio rigs suitable for all manner of geotechnical investigations. 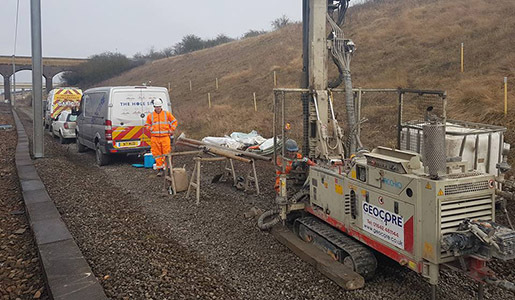 The Geocore fleet starts small with the Comacchio 205, which is ideal for sites with difficult access – domestic properties and basements. 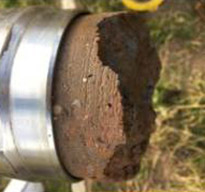 In the middle, we have the 405, which like 205, is very capable of dynamic sampling through superficial sub-surface materials. 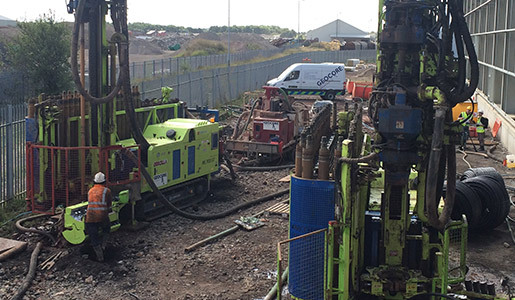 In our experience, these rigs often provide a more cost-effective solution for our clients, instead of the traditional two rig approach of Cable Percussion followed by Rotary drilling. 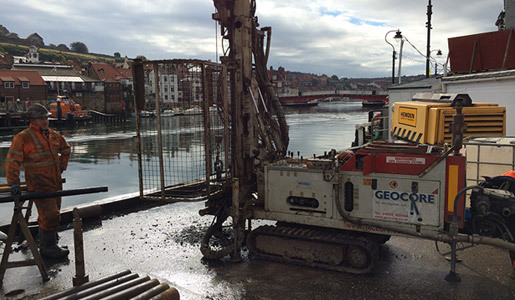 At the other end of the fleet, we have three Comacchio MC900GT’s. 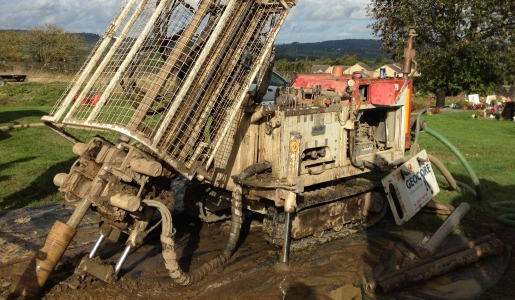 These vast rigs are designed to deliver large, multiple borehole sites. 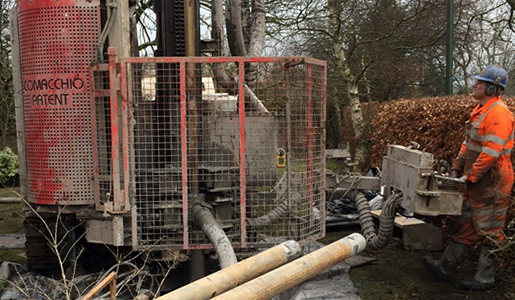 They are also the perfect solution for ‘difficult’ deep boreholes where casing may be required due to the nature of the sub-surface structure. 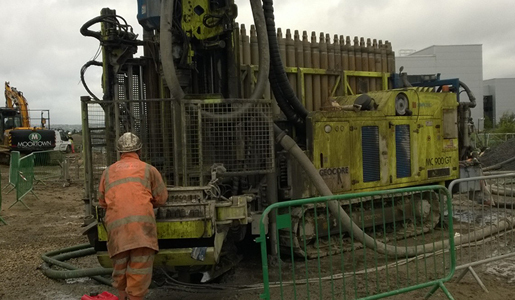 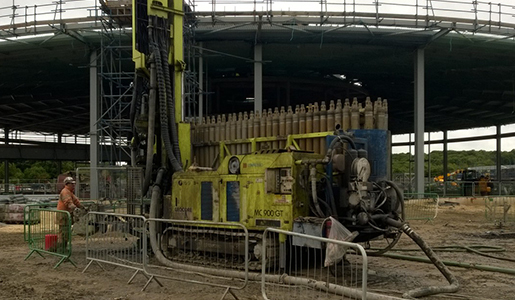 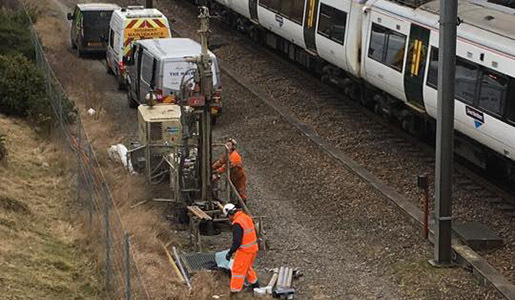 For example, we have used the MC900GT on sites in London, over casing to depths in excess of 130m in 3 hours and open hole drilling up to 300m deep, simultaneously casing through the Thanet sands. 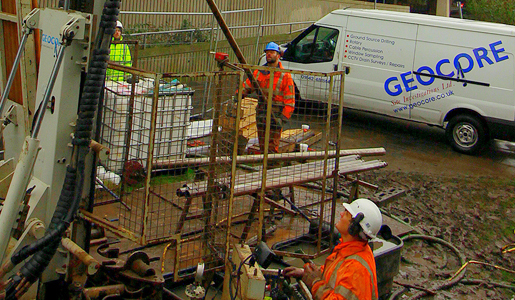 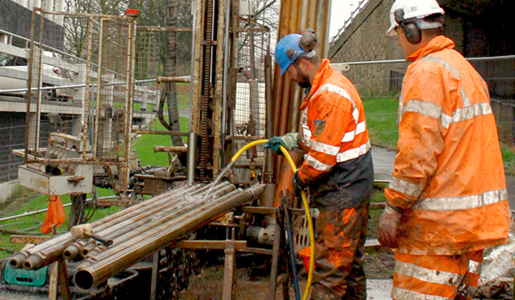 The Geocore Rotary team includes a number of highly experienced engineers. 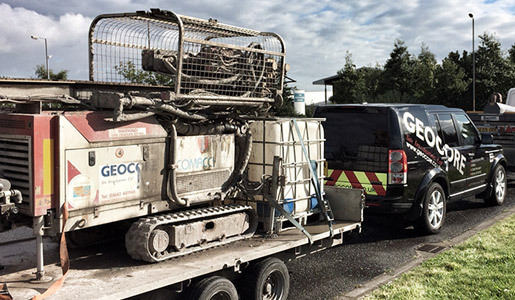 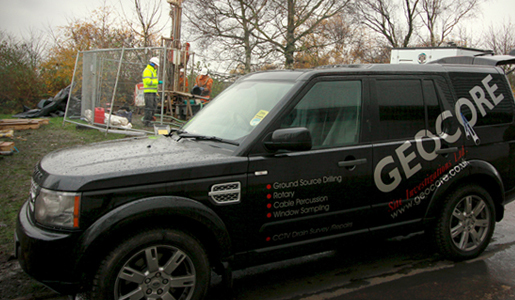 Our on-site team work closely with the office staff to provide rigs and crew anywhere in the UK and beyond. 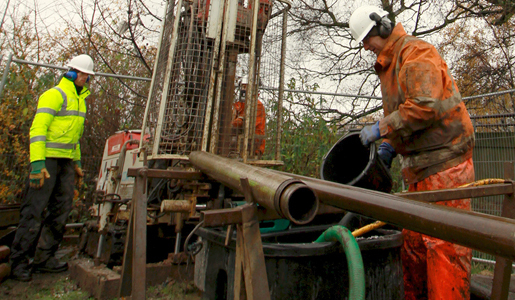 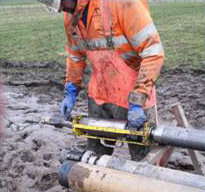 We also offer Geobore S which enables high quality and cost-effective ‘undisturbed’ class 1 core samples in 4” (102mm). 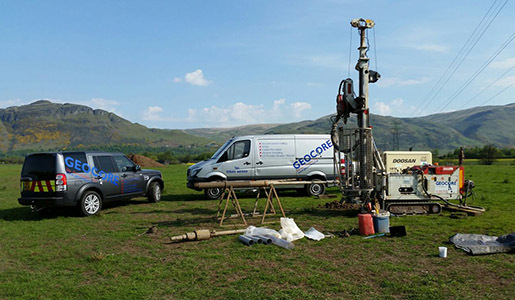 Geocore is proud to operate internationally. 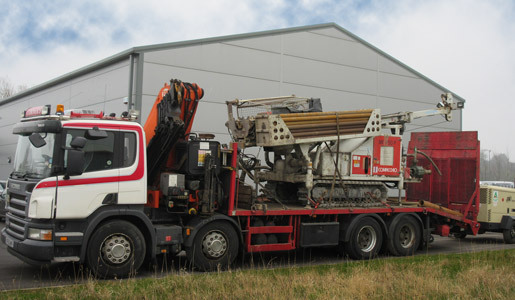 We have successfully delivered equipment and services in India. 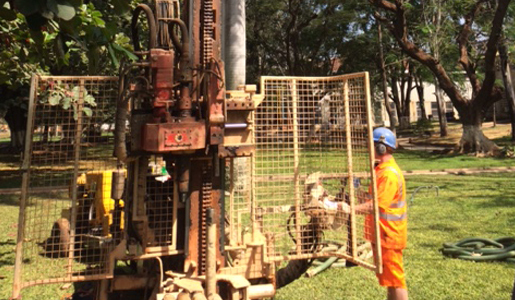 Working closely with local engineers in Bangalore, we have provided dynamic sampling, coring and the installation of monitoring wells for several Bangalore sites.